Researchers investigating whether liquid water could exist on Mars have provided new insight into the limits of life on the red planet. 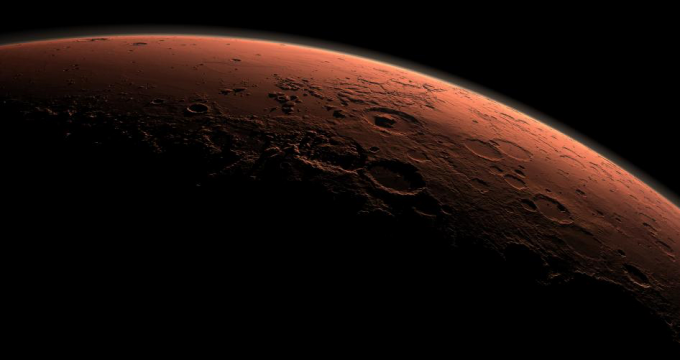 A team led by Dr Lorna Dougan from the University of Leeds has analysed the structure of water in a magnesium perchlorate solution —what they refer to as "mimetic Martin water"—to better understand how the liquid could exist on the Martian surface. Martian soil samples gathered by the Phoenix Lander in 2009 found calcium and powerful oxidants, including magnesium perchlorate. This fuelled speculation that perchlorate brine flows might be the cause of channelling and weathering observed on the planet's surface. "The surface temperatures on Mars may reach a high of about 20°Celcius at the equator and as low as -153° Celsius at the pole. With an average surface temperature of -55° Celsius, water itself cannot exist as a liquid on Mars, but concentrated solutions of perchlorate could survive these low temperatures." Through experiments conducted at the ISIS Facility and computer modelling, the team was able to refine and analyse the structure of mimetic Martian water. The outcome of their analysis, published today in Nature Communications, shows that the magnesium perchlorate solutions have a dramatic impact on water structure. The effect of the perchlorate is equivalent to pressurizing pure water to 2 billion pascals or more. The team observed that the ions in the water become partially segregated and it is likely this segregation is what stops the liquid from freezing. Dr Dougan said: "We found these observations quite intriguing. It gives a different perspective of how salts dissolve in water. The magnesium perchlorate is clearly a major contributing factor on the freezing point of this solution and paves the way for understanding how a fluid might exist under the sub-freezing conditions of Mars. "It raises interesting questions about the possibility of life on Mars. If the structure of Martian water is highly pressurised, perhaps we might expect to find organisms adapted to high pressure life similar to piezophiles on Earth, such as deep sea bacteria and other organisms that thrive at high pressure. "This highlights the importance of studying life in extreme environments in both terrestrial and non-terrestrial environments so that we can fully understand the natural limits of life.